The 2nd Edition of the 132 page Wreck Age rule book gives you everything that you need to get started playing. Welcome to The Resurgence. Welcome to the Wreck Age. Wreck Age 2nd Edition is now available at DriveThruRPG.com, published through a creative commons licence! It was hope. It was a lie. Everything you need to get started (except dice and miniatures) – with rules for campaign play, and a variety of encounters that you can jump right into. Quick character generation – using Archetypes and a simple system called Resource Units to both create and advance your Characters, you can get your group scavenging The Wilds in a matter of minutes. History and background information – explore the Merikan Wilds to their fullest. From the Washed Coast to the Glades, from the skeletal towers of Man Hadden to the colorful and chaotic sprawl of Esperanza, the fledgling towns and crumbling cities make up the character of the world. Campaign rules – allowing you to develop your crew into hard-shelled heroes (or villains) of The Wilds. Community Creation and Structures – build your own community, quite literally. 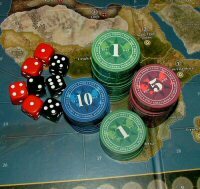 Playable Structures interact with characters on the tabletop, allowing you to expand your campaigns in directions never before seen in a tabletop miniature game. 8 playable factions – and if you decide to go faction-less, and set off on your own, you can do that too! 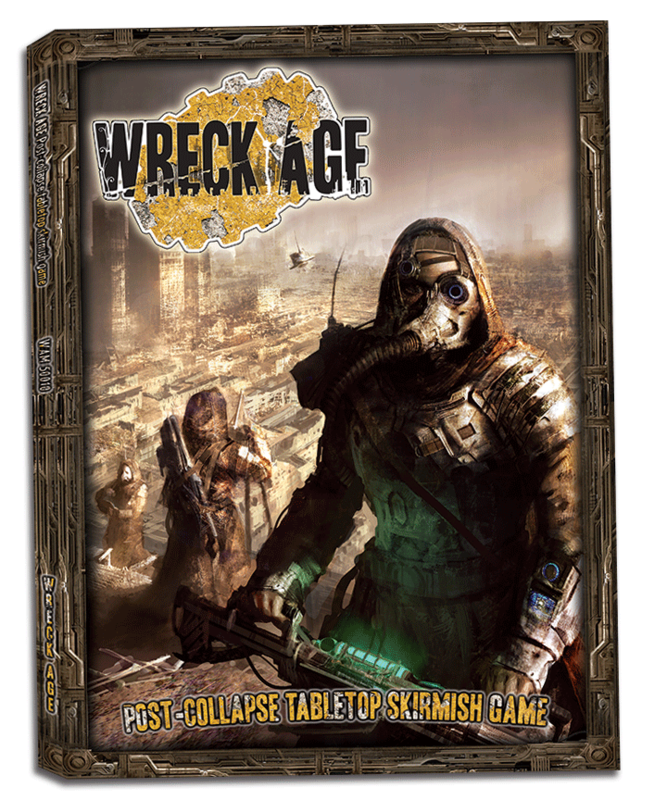 Wreck Age also has a line of 28mm scale miniatures, terrain, RPG adventures, and short stories set in the universe. Quick character generation – using Archetypes and a simple system called Resource Units to both create and advance your Characters,you can get your group scavenging The Wilds in a matter of minutes. Administrators, wield a variety of advanced medical technology, often to harvest the body parts of their “patients”. Campaign rules – allowing you to explore the Merikan Wilds to their fullest. From the Washed Coast to the Glades, from the skeletal towers of Man Hadden to the colorful and chaotic sprawl of Esperanza, the towns and cities that make up the small pockets of humanity make up the character of the world. 9 playable factions – and if you decide to go faction-less, and set off on your own, you can do that too! The Reclaimers are the world’s foremost authority on scavenging. The e-wastes of North America and the rest of the world hold a veritable trove of disjointed information and oddly situated technology. With single-minded zealotry, they aim to collect and to re-assemble the pieces of this grand technological mystery, to learn about the mistakes of the past, and how technology might someday lead the diligent back toward humanity’s rightful place. During the Exodus, a ship carrying specialized medical personnel crash-landed before exiting atmosphere. The carnage was horrific, but the ill-fated flight had been loaded with skilled experts in the field of life-longevity and advanced medicine. To extend their lives, they needed a supply of organs, and soon set out in small bands in order to carve, quite literally, a place for themselves in the harsh environment of Merika. Some of these hapless few are rumored to exist to this day… and are known as Stitchers. The ARHK are a conglomerate of corporate entities that skipped the Exodus under the ominous notion that it would be better to reign on Earth’s shell, than serve on other planets. The Church of Fun are unapologetic hedonists who spread mayhem and callous merriment – a riot fueled by mind-bending chemicals. Tomorrow does not exist. There is only now.